Aidan’s Elephants is a Non Profit Organisation which was founded in 2012 by Helen and Gurjit Chhokar, in memory of their son Aidan Christopher Lawson Chhokar, who sadly died from a metabolic disorder when he was two days old. The organisation is committed to ensuring that families, who have lost a child of any gestation or age, receive outstanding levels of care and support. Locally, its primary role is donating handmade Memory Boxes, Recognition of Life Certificates and other memorial keepsakes to Airedale NHS Foundation Trust, in addition to providing funding for Midwife Bereavement Training, the ‘Sunbeam’ Bereavement Suite and specialist equipment. 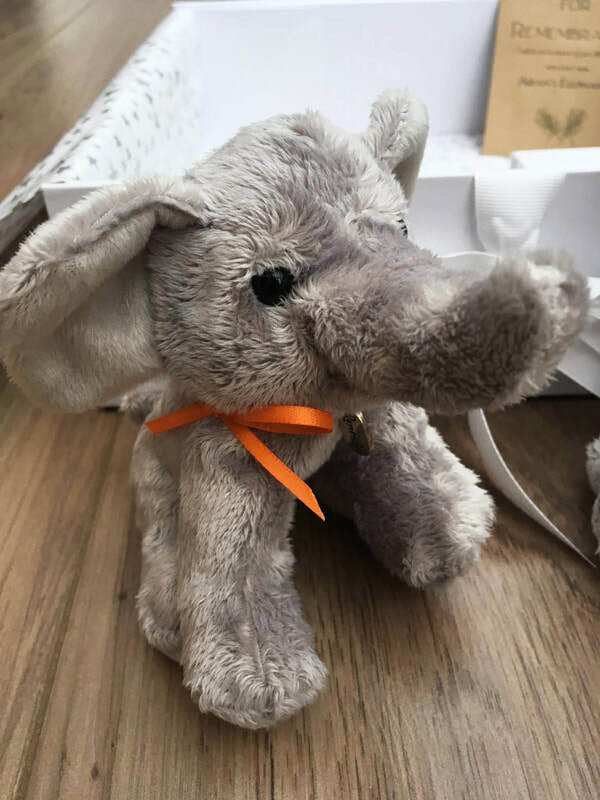 On a National level, Aidan’s Elephants offers online support via their website and social media channels, to anyone who has been affected by the loss of a baby or young child, and aims to raise awareness of the need for better short and long term support following the loss of a child of any gestation or age. Aidan's Elephants began with our own funds, and with those donated to us by our family and friends. Since our launch in 2012, Aidan's Elephants has been generously supported by so many families, local businesses and larger organisations. We could not continue to provide the service we do, without the support we are so generously given. You, more than anyone, know how incredibly precious a gift that is.